Another August is here. That means that football is just around the corner. . .and the beautiful Fall days that all of us love here in the Carolinas. 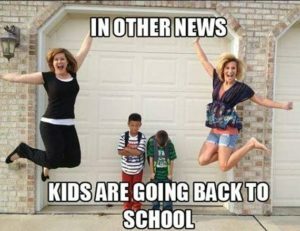 And while I won’t miss the Dog Days of Summer, the months of June, July and August is when us Ol’ Dirt Lawyers make hay, so they are always viewed upon fondly. Many of you know that every August we show our appreciation for you. . .our Customers. We do so with full knowledge that the greater part of our success is a direct result of your wonderful support. Truth be told, we are only as good as those that we rely on for our business. You, our customers. . . and yes, . . .friends…are the ones directly responsible for our success. After all, you are the ones that search the title and render opinions. You are the ones clearing title and putting out fires. You are the ones out there beating the bushes for business. Simply put, our success is your success. It is because of these things, and many more, that we spend the month of August each year showing you our sincere gratitude. We recognize that our success has a direct correlation to your efforts. More importantly, we want you to know that we appreciate it. . .and you. Accordingly, it is with great gratitude that we once again bestow the month of August with the title of Real Estate Professional Appreciation Month (REPAM)! We want you all to know how much we appreciate you; not only those of you who refer business to us, but all involved; the Real Estate Attorney, the Paralegal, the Disbursement Clerk, the Title Abstractor and the Receptionist. We appreciate all of the hard work that you do each and every day; work that goes largely unrecognized and under-appreciated. So, let me be the first to say THANK YOU! Thank you for providing spectacular service to our mutual clients in what can be a thankless job. Thank you for the late hours and working through lunch. Thank you for handling that jerk on the other end of the phone in a professional manner. Thank you for not losing your cool when you don’t have that wire yet. Thank you for taking the abuse. Thank you for meticulously looking through the public records. Thank you for putting up with all of it to get it right day after day. We hope you can join us for the Happy Hour we have scheduled in your area for August 15th and 16th. We are looking forward to hanging out with you! As many of you know, we have annually dubbed August as our Real Estate Professional Appreciation Month (affectionately referred to as REPAM). During this special month we team up with the guys from ReelTime CLE to offer our customers an opportunity to earn CLE credits in a “reel” fun and exciting way! This year we have an additional FREE hour of CLE credit presented by Natasha Branch, State Claims Counsel for Fidelity National Title. Natasha will discuss legislative and statutory updates that impact real property transactions, including the New Uniform Power of Attorney Act. You won’t want to miss this FREE hour! And as in years past, we will be hosting a Happy Hour for ALL of our customers whether you are attending the CLE or not. Mark your calendars and come on out to earn some CLE credits and/or have some food and drink with us after work! Click HERE to sign up and read more about the free CLE presented by Natasha Branch entitled, “Real Property Statutory & Legislative Update.” You will receive 1.0 CLE general credit hour. Click HERE to sign up and read more about the CLE presented by ReelTime entitled, “That’ll Never Happen Here” – Cultivating a Workplace Culture Less Conducive to Sexual Harassment & Misconduct. You will receive 3.0 CLE credit hours, including 1 hour of ethics, 1 hour of mental health and 1 general credit hour. **There is an Early Bird discount available if you sign up before August 10th. 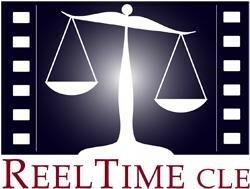 AND in addition to the Early Bird discount ReelTime is offering Barristers Title customers a 20% discount! Enter the code “Barristers” at checkout to receive this additional discount! Registration is limited to 40, so hurry! Why Limit HAPPY to just ONE hour?!?!?!?! You can RSVP (encouraged but not required) to the Happy Hour for yourself and one guest by e-mailing Summer. 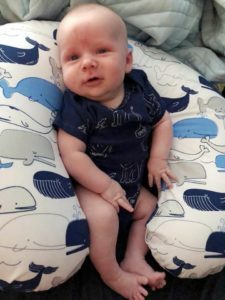 Lincoln Mott, a superstar at only 8 weeks old and (future) counsel at Barrister’s Title, recently joined the team in June. Currently he’s focused on sleeping through the night for Mommy and Daddy (Candice, Commercial Underwriting Manager, and husband John Mott). He’s working hard at it and we are confident he’ll have it down any day now. His favorite pastime is relaxing while big brother Ryan carries him around until his arms go numb. We’re hoping he’ll enjoy playing for Daddy’s lacrosse league when he’s older! He’s still trying to figure out his furry siblings. He’s not quite sure what to make of all that barking just yet! 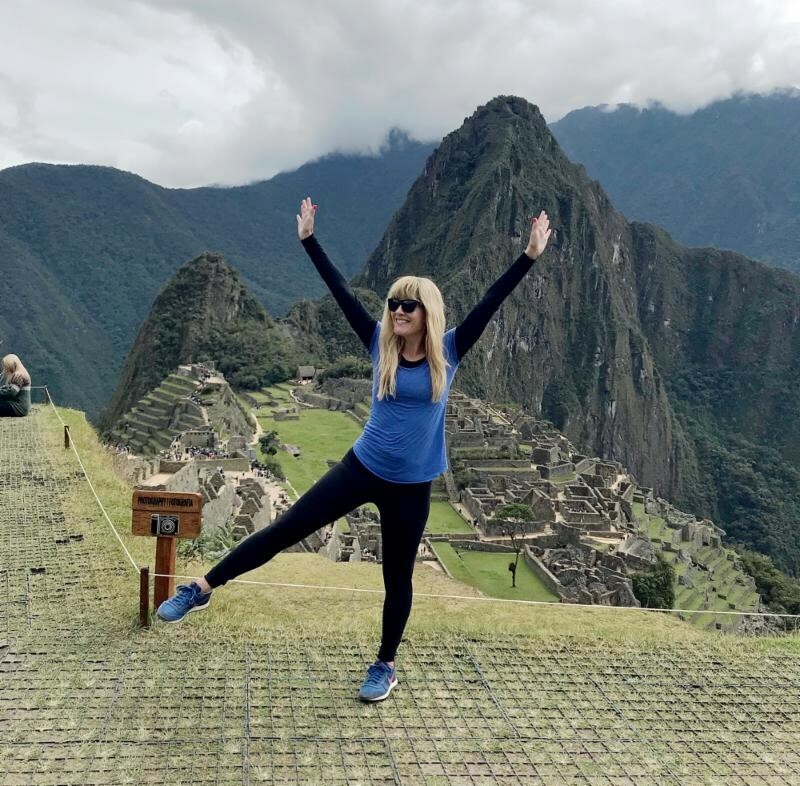 Kosofsky all the way to Peru! 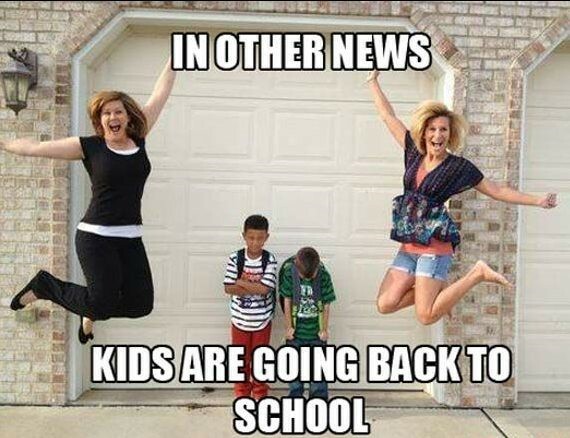 more back to school funnies!